Cardijn Joseph Cardijn “was a wonderful listener” who “very seldom spoke”, according to former IYCW Secretary-General Helen Jagoe. 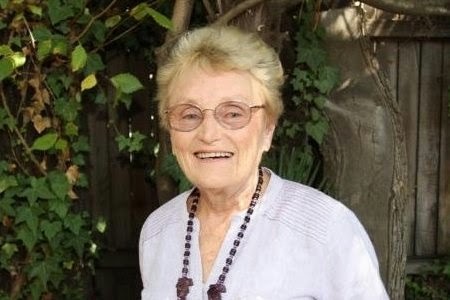 He “never, ever lost his interest in young people” from the time he founded the Young Christian Workers (YCW) to his death in 1967, Helen Jagoe, from Bathurst Australia told the Catholic Weekly. She joined her local YCW at 18 and quickly rose through its ranks to become national secretary in Melbourne and later general secretary of the movement’s international secretariat in Brussels. It was there she worked closely Cardinal Cardijn, then in his twilight years but still a “gentle, happy man” and devoted champion of the spiritual well-being of young workers. “At the very beginning he used to stand outside the factory gates, and he’d see these kids walking out,” she says. The priest had watched children disappear from his congregation as soon as they were old enough to work. He became concerned as he saw them exit factories, their faces aged with grime and fatigue, and their faith threatened by the crass secularism of industrial culture. “They were lost immediately when they went into the workplace,” Helen says. To counteract the dehumanising nature of the workplace, he created the See, Judge, Act method, which called on young people to look at the world around them and understand it in the light of the Gospel, then to act accordingly to improve the situation. He spent hours with young people asking them about their working conditions and job satisfaction, and relayed those messages to bishops around the world and members of the curia. Unconcerned about Mass attendance or membership of religious societies, he challenged young people to be “apostles in the workplace”. At its peak the YCW was active in 90 countries, including Australia, where it offered a range of services from employment support and language classes to sporting competitions. In 1965 Cardinal Cardijn travelled to Australia on a visit that was meaningful not just for YCW members in Australia but also “for the Church”, Helen says. No less a figure than Pope Paul VI earlier paid tribute to him at the closing of the Second Vatican Council when he noted “the good seed planted 50 years by several generous pioneers and particularly a young Belgian priest had truly yielded a hundredfold”. Cardinal Cardijn’s death just two years later was a great shock for all his supporters, including Helen who was then based in Brussels. Helen was one of five YCW leaders in Brussels entrusted with planning the funeral. At the time of his death Cardinal Cardijn was internationally recognised for his work with the YCW, and supporters from around the world attended the requiem Mass at the Basilica of the Sacred Heart in the Brussels suburb of Koekelberg. Though his death at 84 was a shock, “we didn’t miss him, because we knew his legacy so well”, Helen says. “He was never there as a leader, he was always in the background. Almost 50 years later, the movement still exists in Australia, but Helen believes a reform is needed to better appeal to the “frenetic lifestyle” of young people today. “They never seem to stop to reflect because life doesn’t allow them to,” she says. Helen is hopeful the first step towards the canonisation of Cardinal Cardijn will trigger “a renewed interest in what he did – not the man but in his method”.